I absolutely adore personalised items, whether they are toys, photo frames or books - anything that is personalised. I think they are the perfect gift for someone and a lovely keepsake too. Personalised Parties offer a vast range of personalised items such as party bits, mugs, notebooks and books. 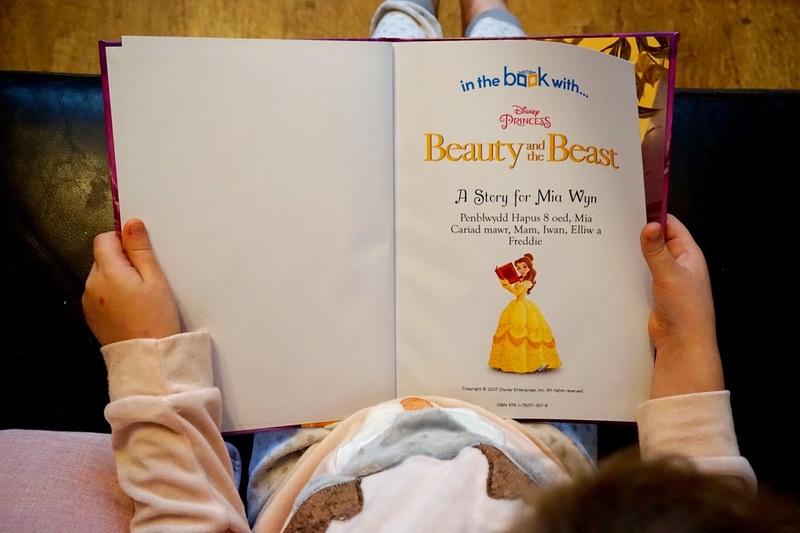 We received one of their personalised books, and I chose the Beauty and the Beast storybook for Mia. 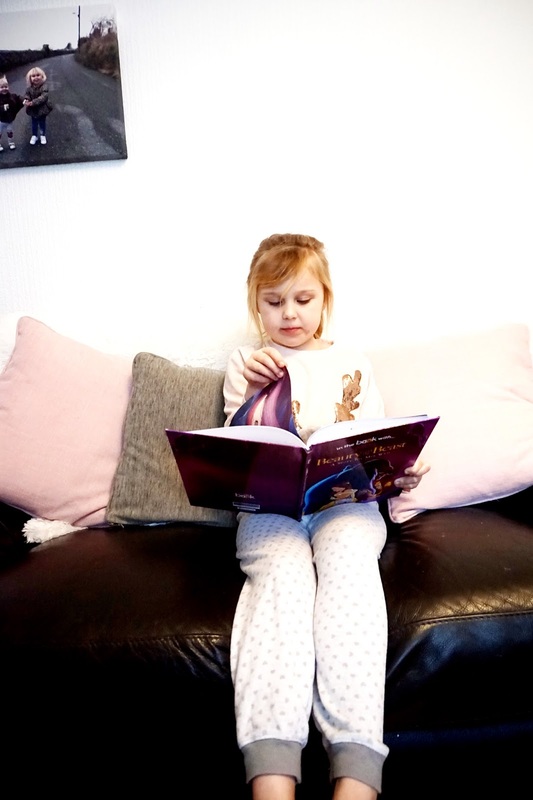 As it's one of my favourite Disney films and Mia has also taken a huge interest in the film, I thought it was the perfect personalised book for her to have. They have a great range of 'In The Book' books, and there's plenty of books to choose from. You can also choose a softback or a hardback. I went for the hardback as I personally find that they have a longer life, especially that the girls are going to be reading the book too. Mia's now at the age where she wants to read books herself, and although we don't read a book every night, on the nights that we do read them, I absolutely love it. I love that one on one time that we get, it's so special. Also, she's fluent welsh so she is still learning to read in English and it's really improving each time. The book we were sent is high quality and personalised throughout. Mia was over the moon when she saw the book and even more pleased when she saw that her name was writing throughout the book. Many personalised books out there are just personalised on the outside, but in these books, you are in the story with them. Each time Mia read her own name, a huge smile came upon her face. It was so lovely to see her so happy and excited after each page when she came across her name. 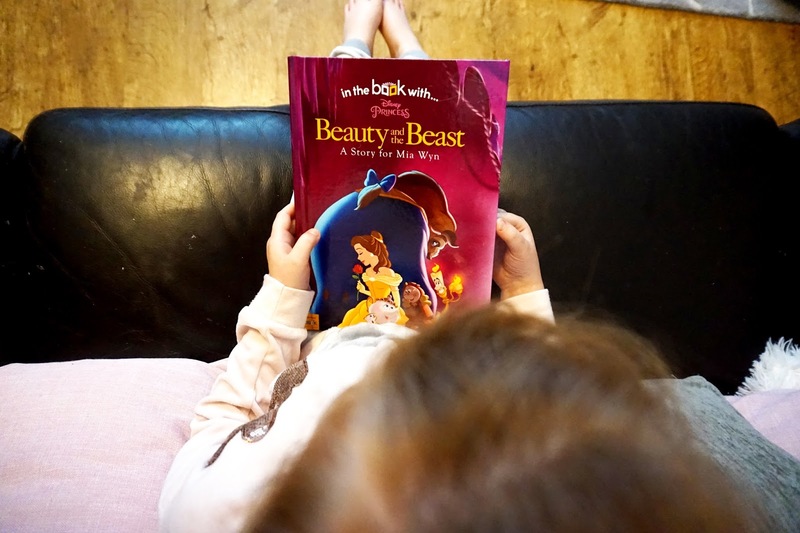 It was so lovely to read the original story of Beauty and the Beast and have Mia's name included in it too. It's definitely a book I will be keeping an eye on as a keepsake for when she stops reading it. Something that will be treasured and hopefully something she can look back on in years to come when she is an adult herself. The book is personalised throughout and has high-quality pictures on each page. It's a beautiful and magic storybook to read with your child. To give that extra personalised touch, you can also personalise the first opening page of your storybook by writing a personal message. This gives it that extra special touch, which makes it a perfect gift. * Thank you Personalised Parties for kindly sending us this gift.